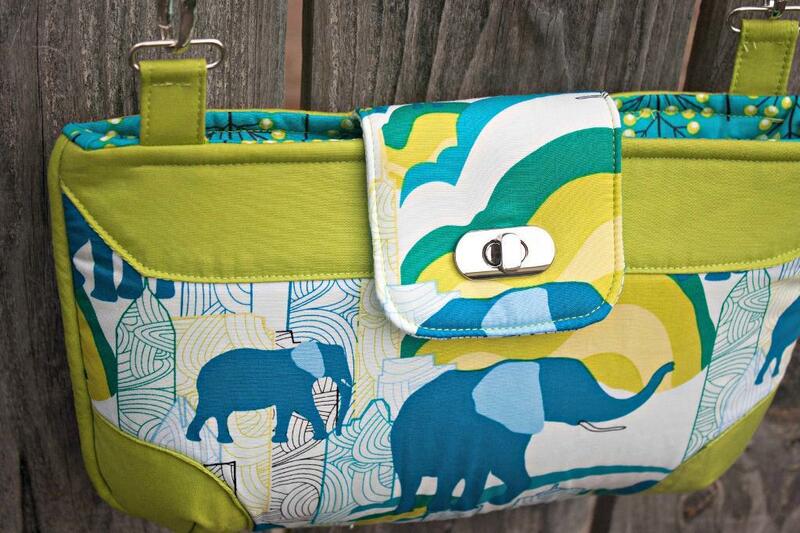 This bag was made using my line of fabric for Art Gallery Fabrics called Jungle Ave. This small bag will allow you to try out several fun bag-making techniques; adding a metal twist lock, using piping in a bag, making darts, and adding elastic pockets. Use your favorite print and combine it with a coordinating solid to make your fabric pop! Visit this site for Brookfield bag pattern and more details. Tagged bag pattern, bag tutorial, bags. Bookmark the permalink.